The human tide is the story of how demography shapes history and is shaped by it. Paul Norland describes in detail how country after country, starting with England, used industrialization to escape the 'Malthusian trap', the vicious cycle in preindustrial societies where an impoverished population always outstrips food production and always lives at subsistence levels. In the story of the human tide, country after country goes through a demographic transition with a period of population explosion that then reverts to a modern low growth level at a high standard. 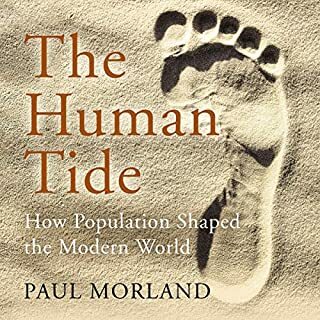 Morland tells this story in great detail, its interplay with political, social, and economic development, and never loses sight of the individual in the statistics, the human joy and suffering behind the numbers. I find this unusual view of history both enlightening and fascinating. If you are worried about too many immigrants into your country, this book is for you. If you are wondering why there are so few other children at the playground for your own child to play with, this book is for you. 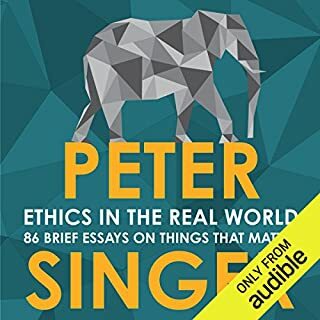 If you worry about overpopulation of your own country or the planet, this book is for you. The story of the human tide is well written and masterfully narrated by Zeb Soanes,.